The keywords people search for the most on search engines in your niche or industry are not always the most profitable keywords to focus on for your business. 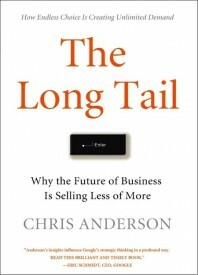 This is at the heart of Chris Anderson’s concept of ”the Long Tail” from his groundbreaking 2004 Wired article and his book of the same title released in 2006. The Long Tail was originally meant to discuss an emerging trend where online retailers like Amazon, Netflix & Rhapsody found success increasing the depth of their inventory and selling less of more in an internet driven environment but it has had implications far beyond its initial insight. Nowhere was this more apparent than with Search Engine Marketing. Understanding “the long tail” and applying strategies to leverage it for SEO has proven time and again over the last few years to be one of the highest value activities in search marketing. To many this is not something new, but it is surely worth revisiting. In most industries; while it is still valuable to rank for a highly competitive keyword like “Digital Camera” for instance, a lot of times these top level generic terms are what visitors type in when they are very early in the buying cycle. This is an especially important lesson for websites that are just starting out and established brands just beginning to look to SEO as an important channel to drive traffic and revenue. When you launch a new site or even a new section it is important to first focus on developing and structuring content to attack long tail targets as this will be your most accessible source of traffic in the short term. Over the long term your focus should be on continually building quality content and working to become a true authority in your niche. This will help you win for long tail keywords as you go through the process and over time can help you become better positioned to win for the most competitive keywords in your industry. But regardless never stop pursuing a long tail strategy because thousands of multi-phrase keywords combined will nearly always drive more traffic than one or two highly competitive high search volume terms. Do a deep drive into your Web Analytics package and revisit the multi-phase keywords that drove traffic to your site and converted looking at the very least 3-6 months of data. Are you performing as well as you can be for these keywords? According to Google roughly 20-25% of searches today are new queries that have never been searched for before. Many of these people are looking for detailed information on your products and services that you don’t currently have content to address. May the long tail be with you.